We are pleased to announce immediate availability of PowerArchiver 2019 19.00.30. With this build, we are focusing on adding more security features such as a new Private mode, as well as a new option to the SFX Wizard. Private Mode – New Private Mode feature that clears PowerArchiver history and cleans the temp folder with US DoD 5220.22-M approved methods. SFX Wizard – no path option – Added new option for SFX Wizard – do not store paths, for easier creation of SFX’s when you do not need to replicate original folder structure. Other Improvements and Fixes – Various fixes/improvements and much more. Overall, 21 issues were closed. For the full list go to our forums. 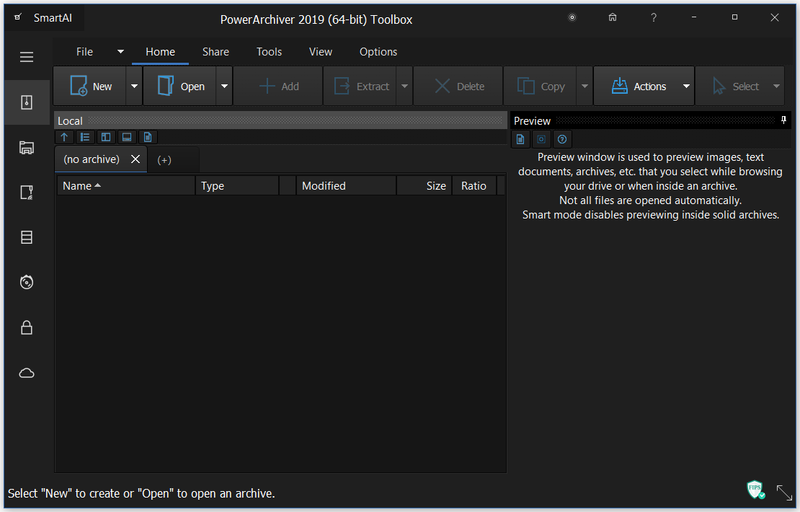 PowerArchiver 2019 is the most smartest release of PowerArchiver ever. New Modern Windows 10 interface uses simplified ribbon to look great, with 3 all new skins – don’t like Windows 10? There are still Classic and Windows Ribbon interfaces. SmartAI will optimize your compression, save your power, change to dark mode, enable FIPS mode system wide, enable you to work great with touch screens. We made PowerArchiver ZIP compression faster. PowerArchiver Mini is back and lets you use full power of PowerArchiver within Windows Explorer Preview window. The Advanced Codec Pack – .pa format has been fine tuned for the best compression and speed on the market! For a list of additional changes in the new PowerArchiver 2019, please check out PowerArchiver 2019 Introduction. Next Post PowerArchiver 2019 Preview - build 32/33 is out today!